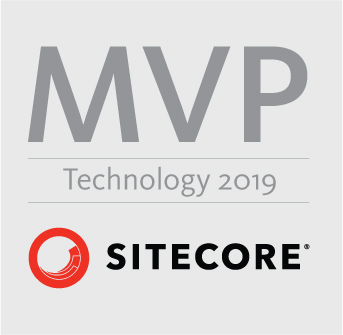 I am Brian Pedersen, a .NET and Sitecore professional with more than 15 years of experience using Sitecore as a platform for Web Applications and Web Sites. I have a degree in Datamatics from Roskilde Business College where I graduated in 1994. I am eployeed as a Senior System Consultant at Pentia A/S, the leading Sitecore specialists in Denmark. I am a certified Sitecore developer holding multiple Sitecore degrees, V5 Certified Developer Level 0, V5 Certified Developer Level 2, Web Site .NET Developer, Sitecore 8 Developer, Sitecore 9 Developer. I 2011 I was awarded Sitecore Most Valuable Professional. I was born in 1973, married with 2 children.